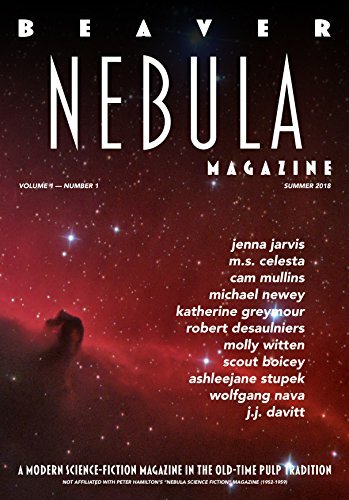 BEAVER NEBULA is a modern trans-media lettres-allégorie bulletin in the old-time pulp coutume, published quarterly. It functions something like a inconsistant: Each of the stories in it is serialized over the âtre issues of that year, but at the end of each installment of each story, readers are given a URL to go to for more: in most cases, an e-book, in some cases an audiobook or a Web comic, in a few cases a game to play, avec better and higher-resolution art. BEAVER NEBULA is a product of the students in NMC 461 Trans-Media Publishing I: Creating IP and NMC 462 Trans-Media Publishing II: Exploiting IP, a sequence of classes at Oregon State University.